Every picture dyed by Mr.Tagawa makes us realize that he was undoubtedly a great dyeing master. 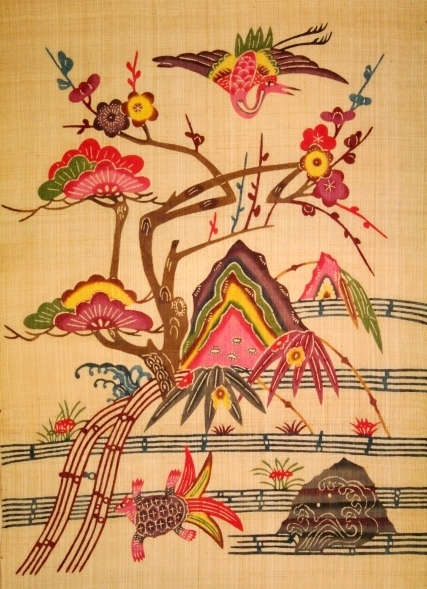 Beautiful sketching, brilliantly designed composition and fascinating coloring are evident in each picture. 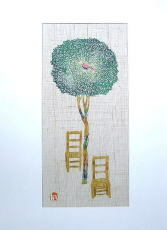 Though he died in 2000, during his last years he often came to see us and would talk about his favorite cheese and advise me on my pottery work. 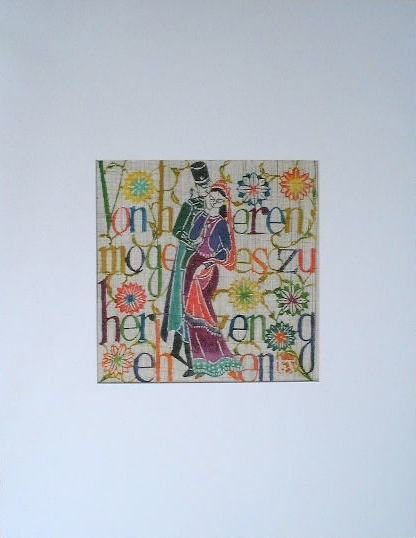 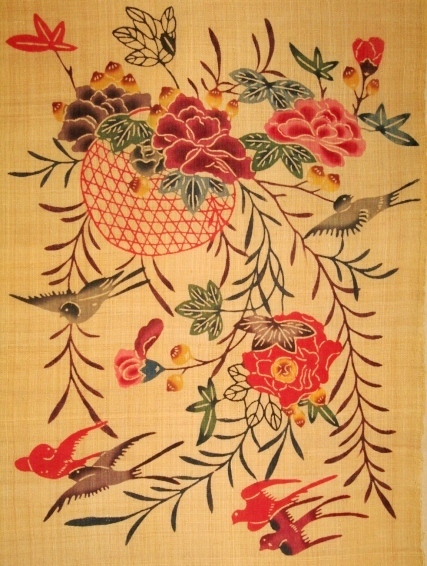 He was not only a fanatic about the necessity for beautiful crafts, but he was also a romantic who loved poetry. 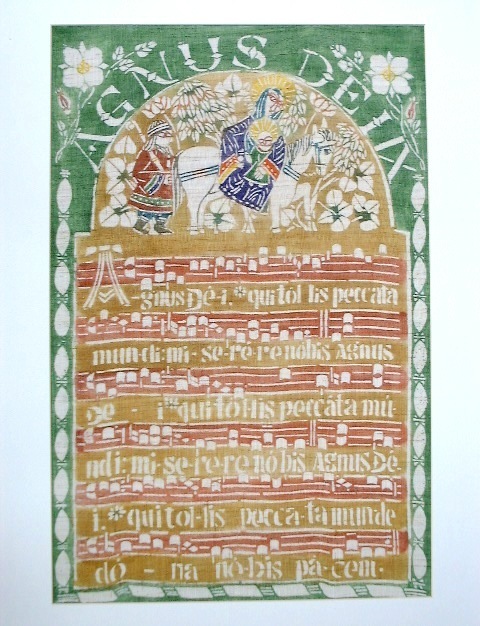 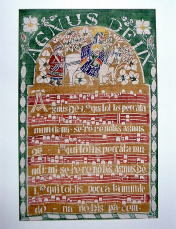 Since he was a Christian, he left some beautiful Gregorian chants in his works. 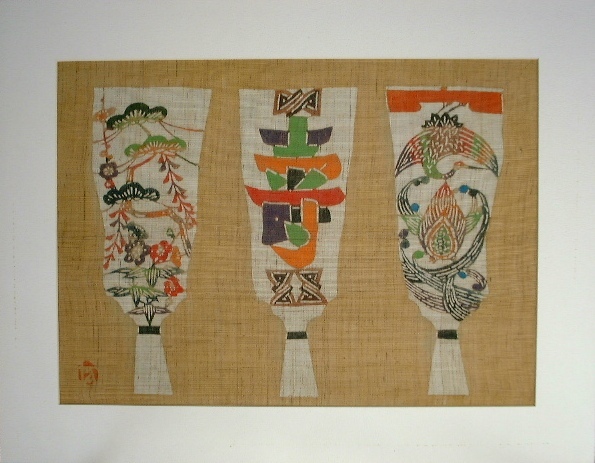 He always asked us to uphold the MINGEI philosophy, which is the making of modest and useful wares that subtly display art and beauty while performing a necessary function. 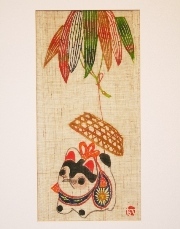 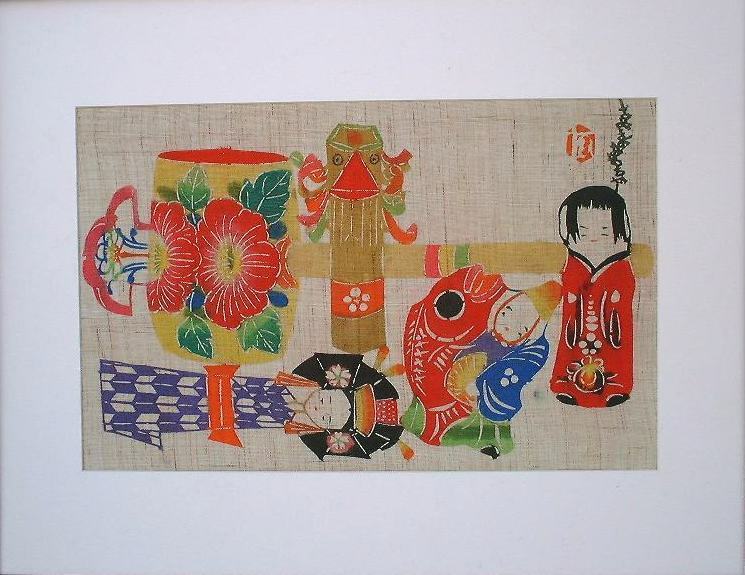 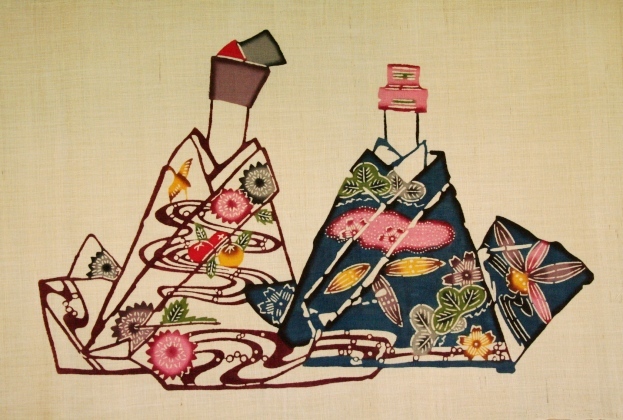 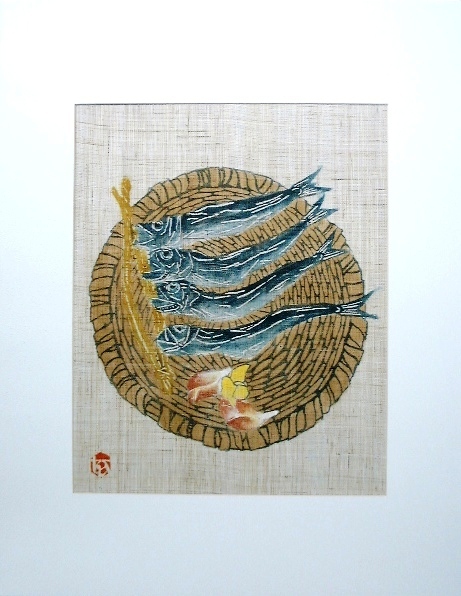 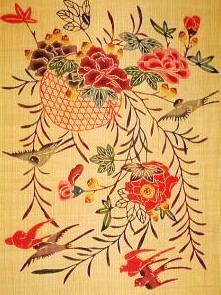 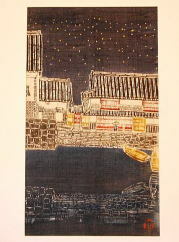 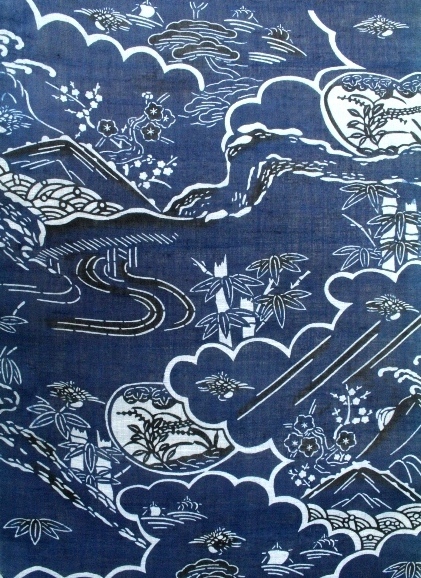 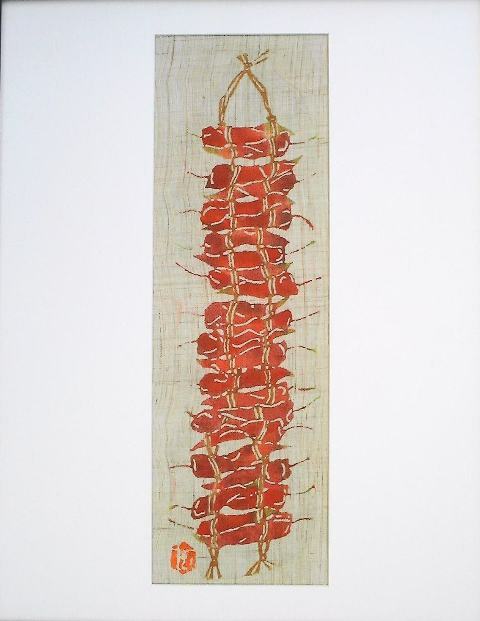 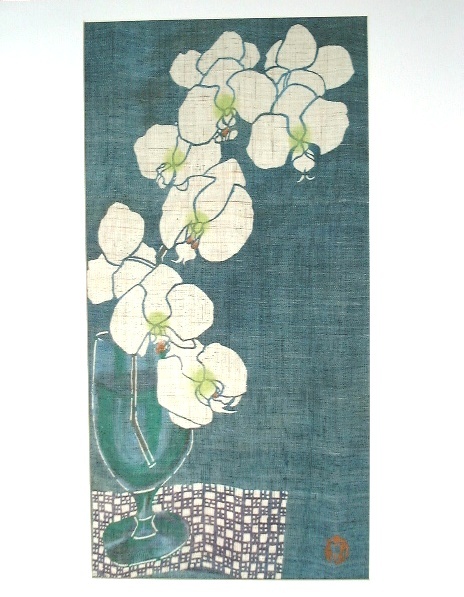 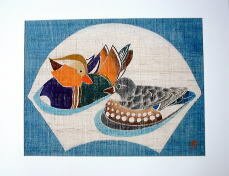 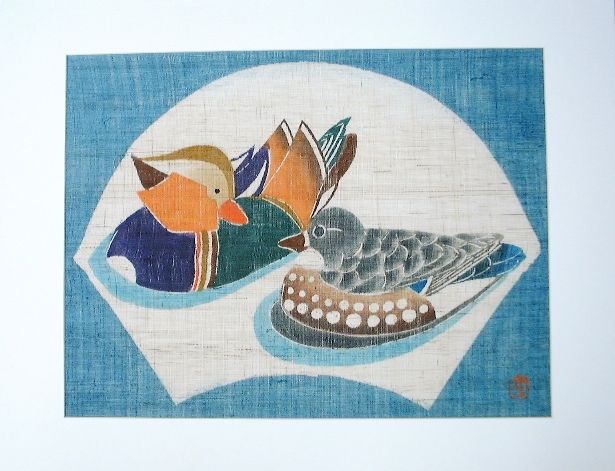 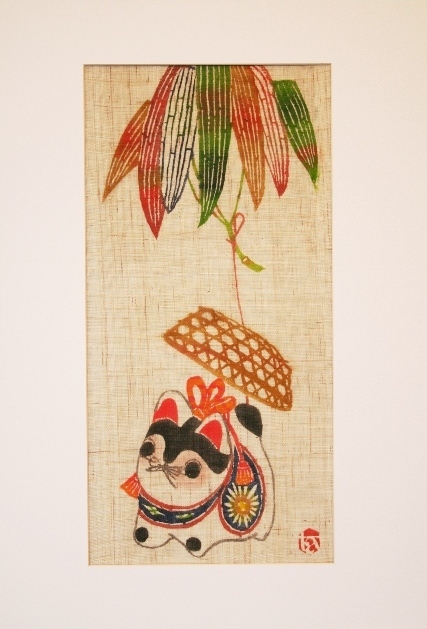 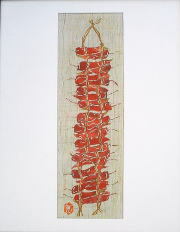 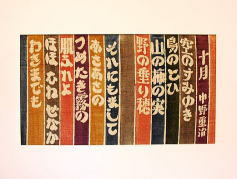 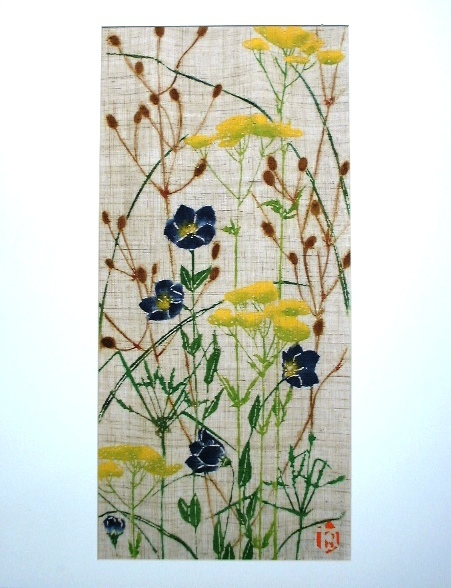 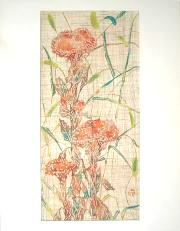 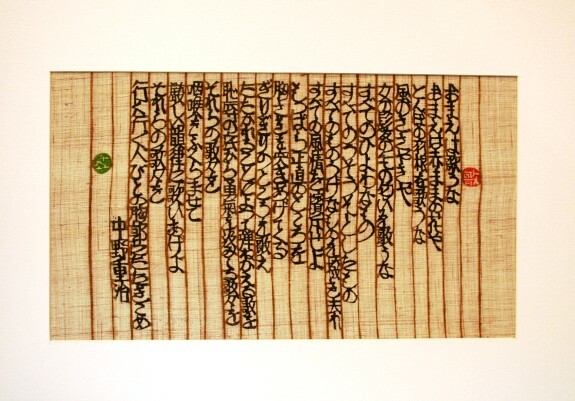 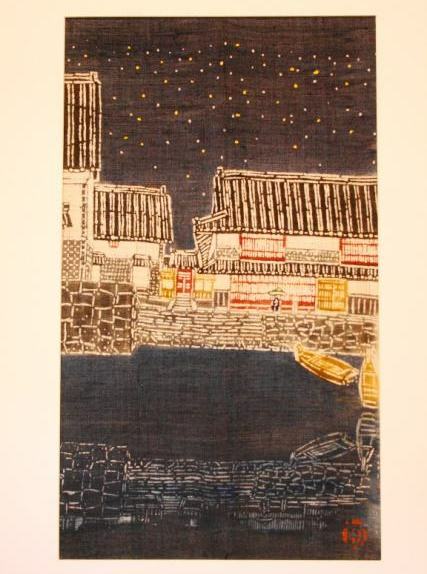 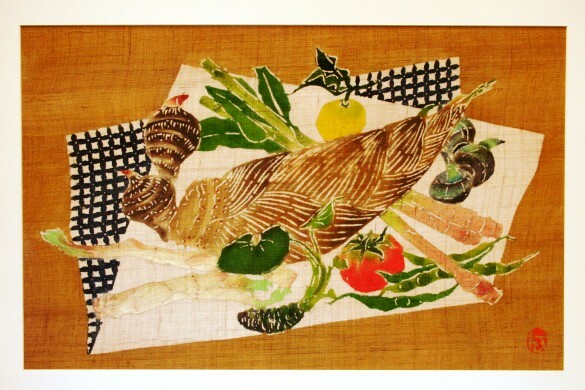 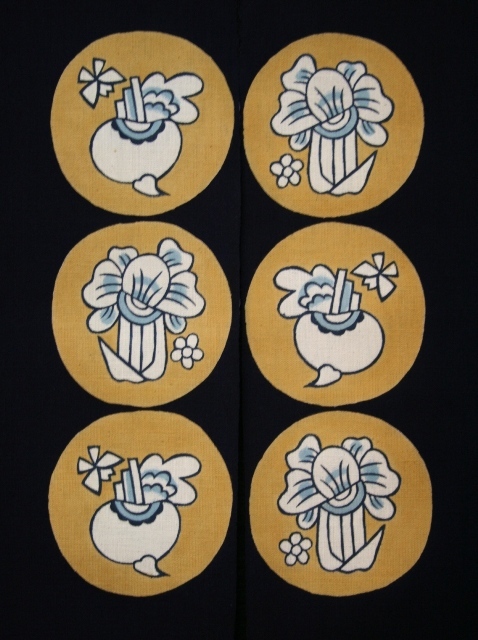 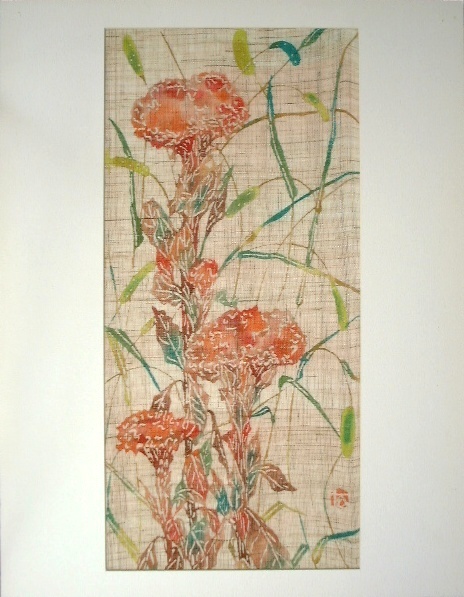 The following Tagawa pieces were dyed by his daughter, Kazuko Kanbara with his old stencils. 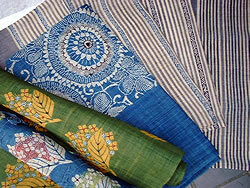 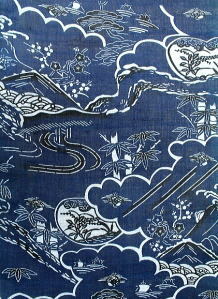 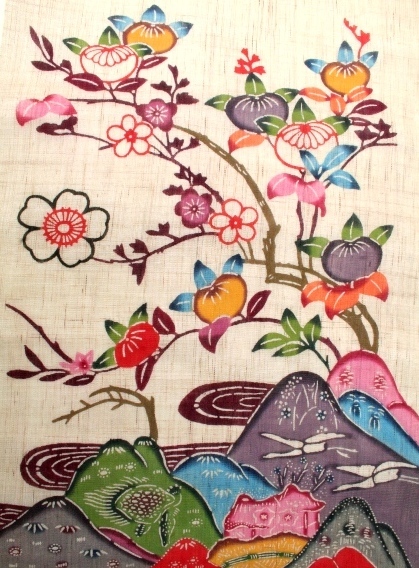 These picrues were dyed by Yuko Tamanaha in Okinawa about 35 years ago. He was was authorized as a Japanese living national treasure in 1996. 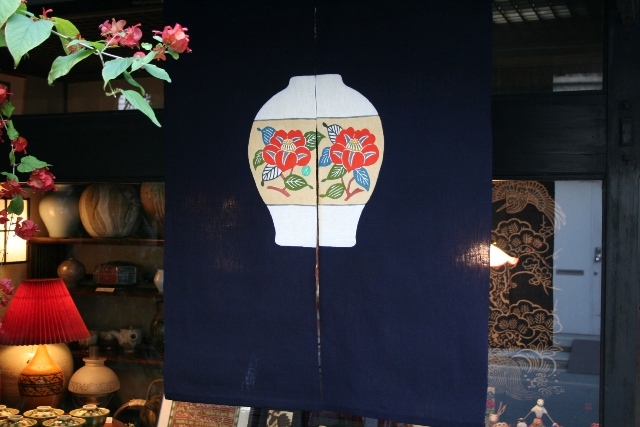 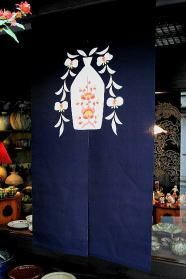 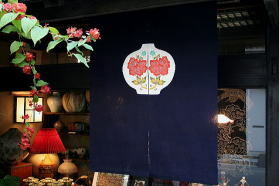 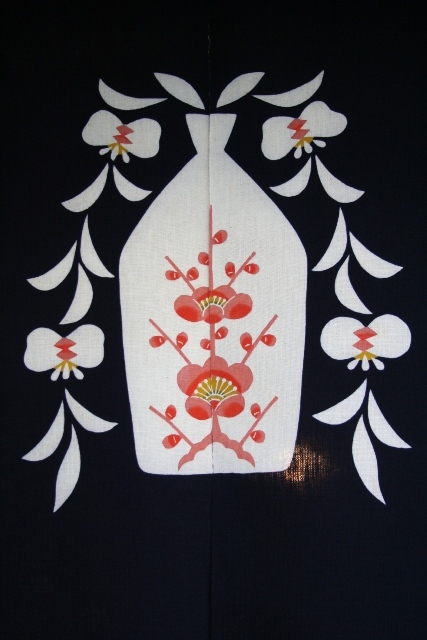 The short curtains hanging at the door of the shops in Japan are called 'Noren'. 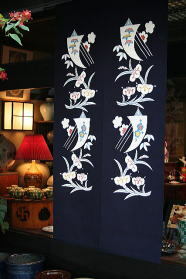 You can see them at the entrance of Japanese style restaurants. 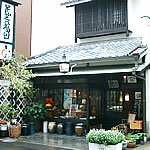 The Noren of flourishing old shop of long standing is of great hereditary value. 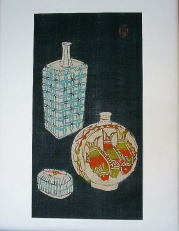 Sometimes Noren is presented by one's friends when one opens a shop and has a new house. 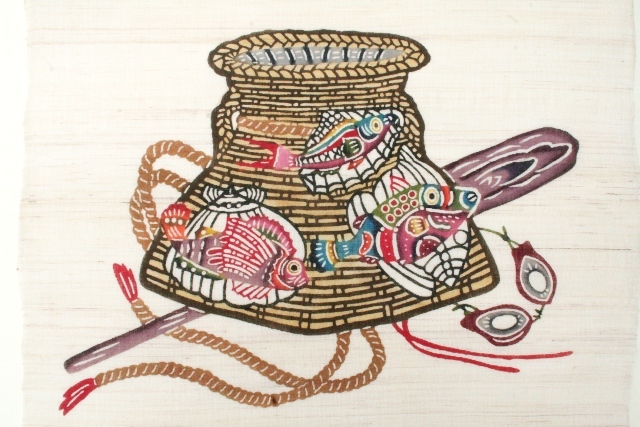 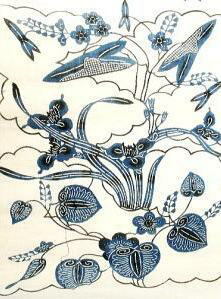 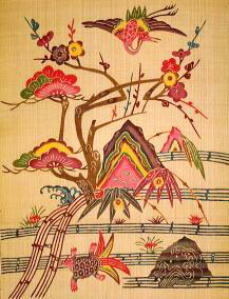 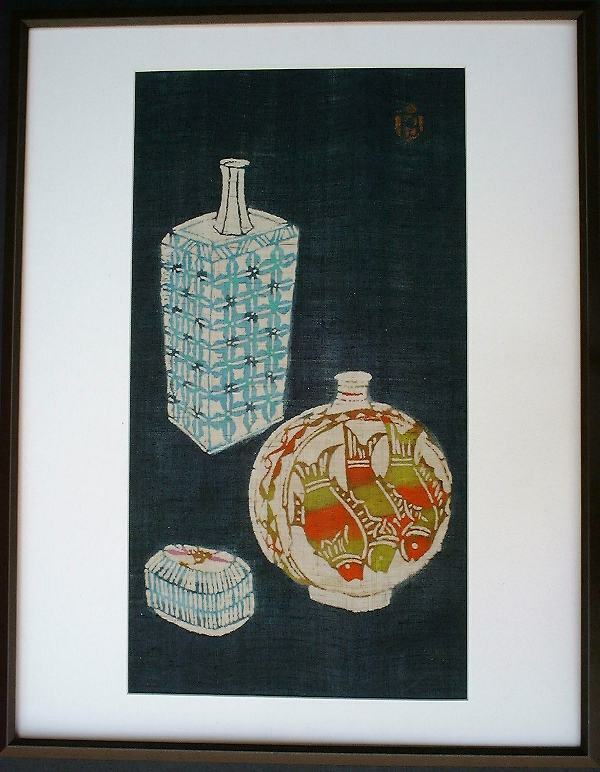 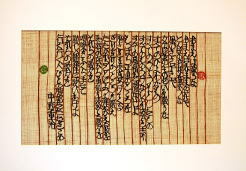 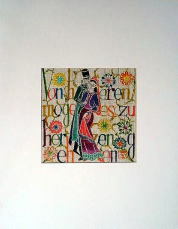 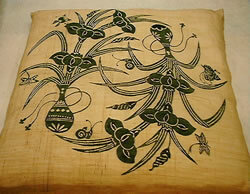 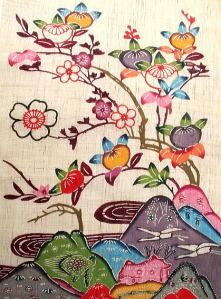 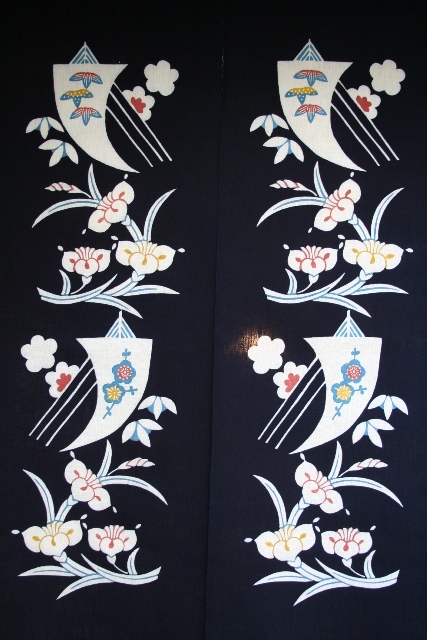 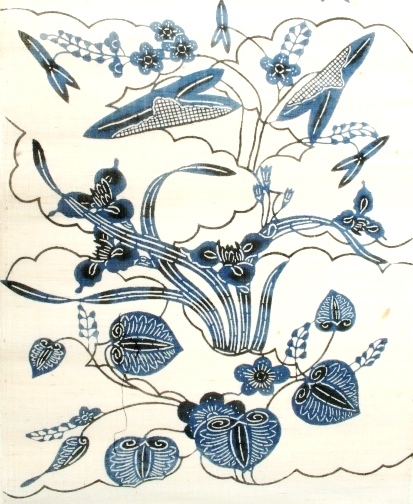 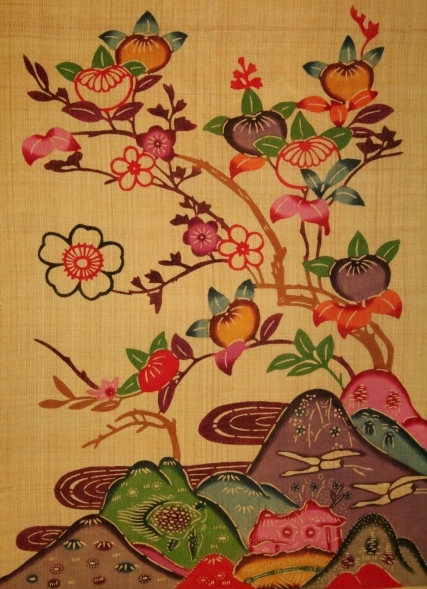 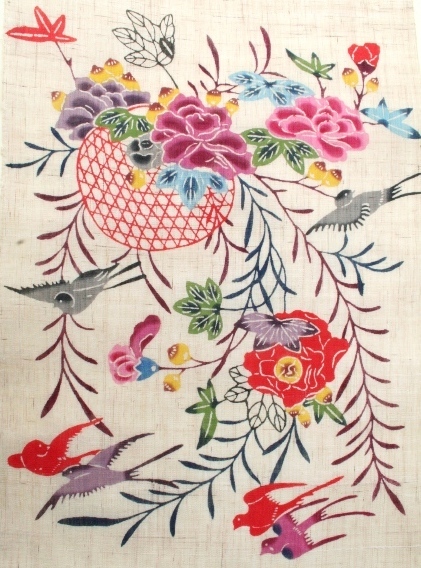 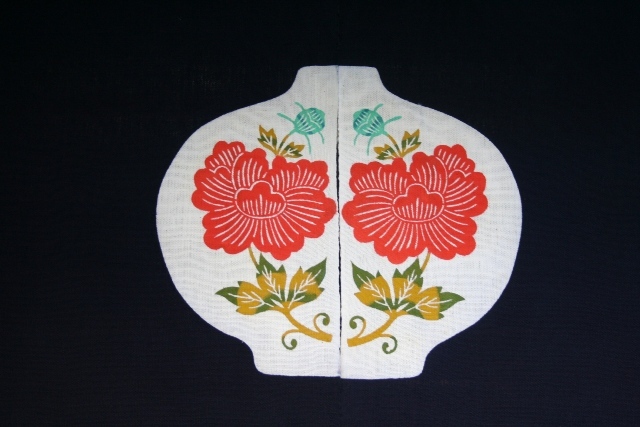 Artistic Noren are often used as items of interior decoration for living room or kitchen in private houses. 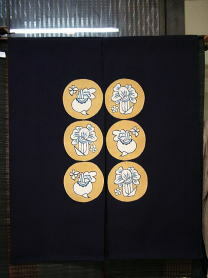 The following Noren are dyed on cotton and for winter. 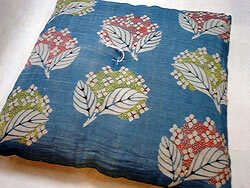 The cushion without a zipper is stuffed with cotton. It is bound in the center with thread and has tufts at each corner. 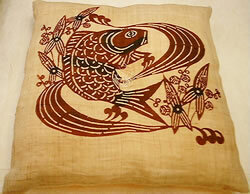 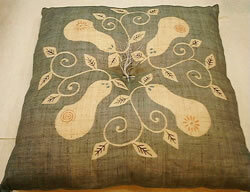 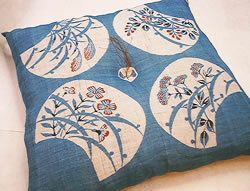 The cushion with a zipper is stuffed with cotton and covered with white cloth. 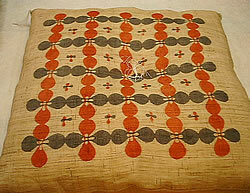 It has no bound center or corner tufts.